But Today, I did this for a Friend and She wanted it to be funky but colorful so this is what i created for her :) and she loved it. Here is the Quick tutorial for you to re-create the same. 1 - Paint your nails Black. 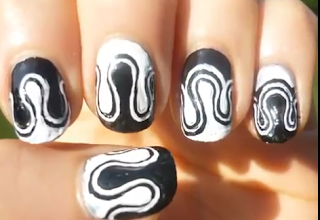 2 - using your white polish, start making swirly lines on all of your nails. 3 - Then fill in half of your nails with white. 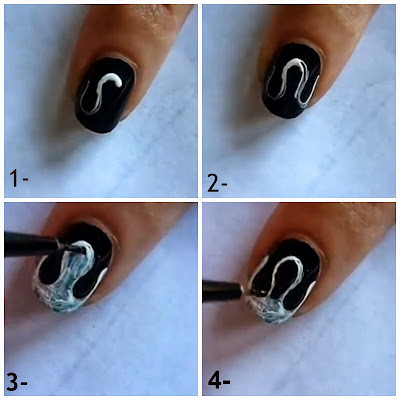 4 - Create the same swirls, expect filling with white this time draw with Black polish. 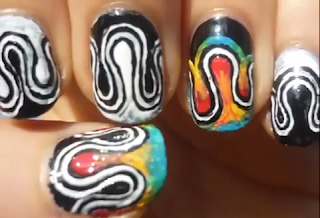 5 - Repeat the process until you have a bunch of alternate black and white swirls. 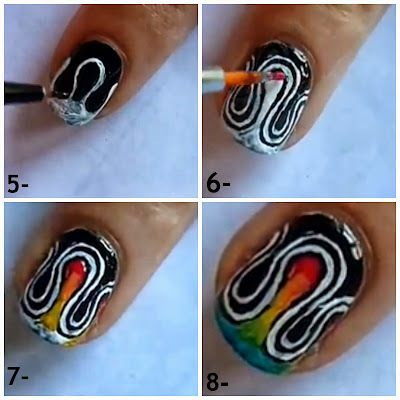 8 - you can make it funky and add different colors. I used red, orange, yellow. green and blue. Awesome tutorial! 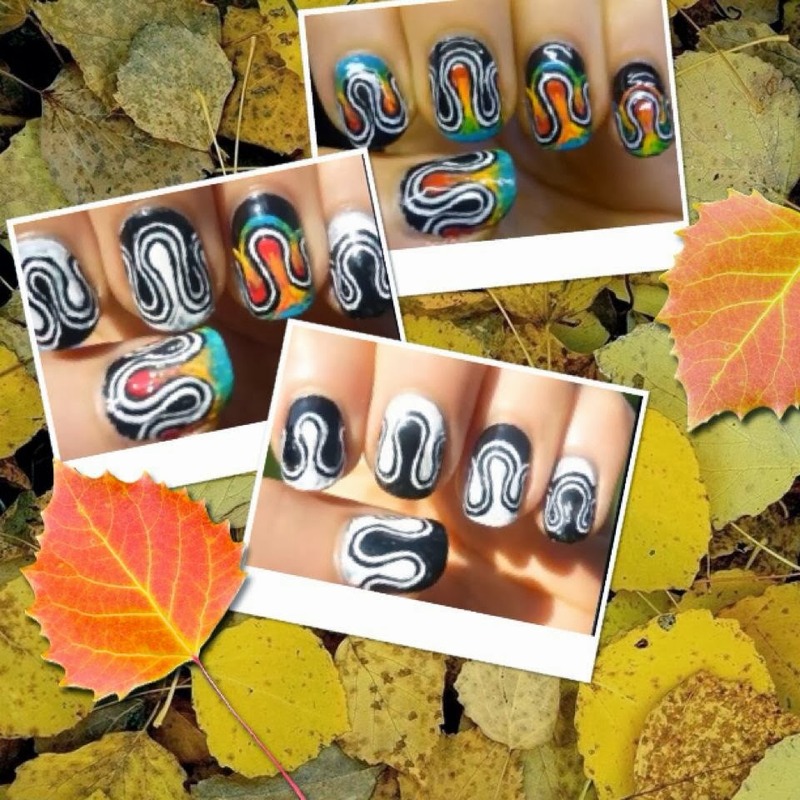 I love that you took the time to take step-by-step photos for those like me who are challenged when it comes to recreating designs like this. ;) LOL I love the blast of color in the center of the design! 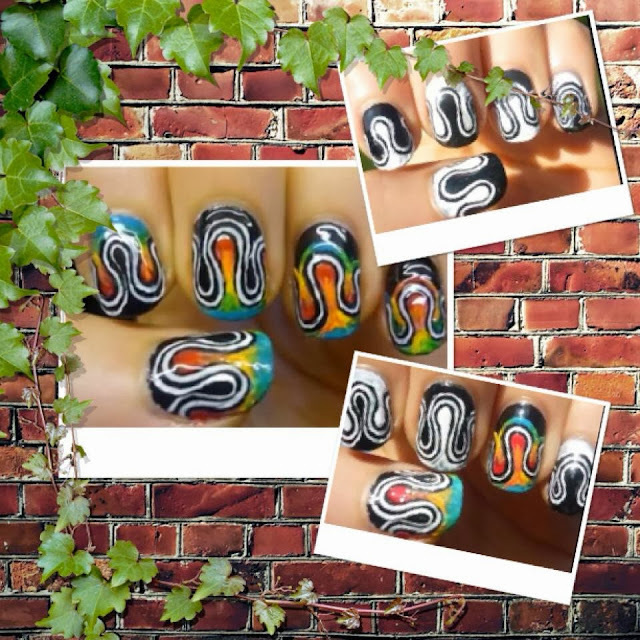 So fun & creative - Just LOVE the colors! That looks amazing! 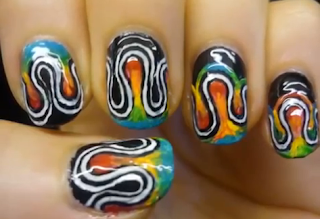 I wish a had the patience to do nail-art! wow! Looks really fun and bold! Would love to try it out! I love all the colors! don´t know if I am able to recreate with the same result, however lovely to read your detailed tutorial. clear detailed tutorial thank you! I haven't seen designs like that before. Definitely unique! I'm so terrible at nail art though, haha. It's a great design. You must have such a steady hand to do that! Thanks for sharing! Lovely design. Great final effect. Whoa.. you just left me speechless! oh wow!!! You did a great job!!!! Love the designs!